It’s no walk in the park to race at the Indy 500 in a new Dallara chassis race car with more than 550 turbocharged horsepower. But can you imagine doing it in a tank on glorified bicycle tires? 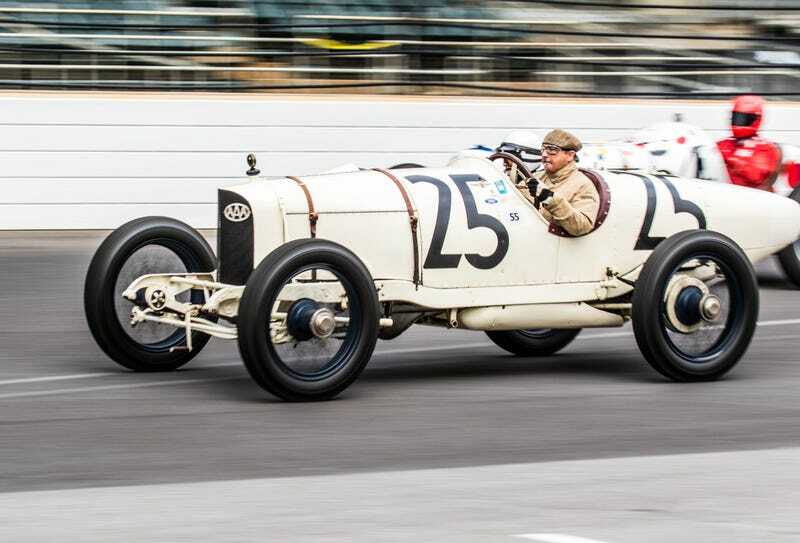 The way things used to be was proudly on display at the Indianapolis Motor Speedway this morning, and our man Kurt Bradley captured the action ahead of tomorrow’s big race. Kurt says this was an unofficial event without any timing or scoring, and several of the drivers were ex-racers just taking their old metal for a spin. And we’re glad they did. Here, enjoy some vintage race cars and a few newer ones. Can you name them all?